Dior (yes, it is just Dior now because Homme has been dropped) teamed up with French BMX manufacturer Bogarde and released the first of three bicycles in a polished chrome finish. It was cool, lustrous and dressed up with contrasting red detailing that gave it an added pop of colour. 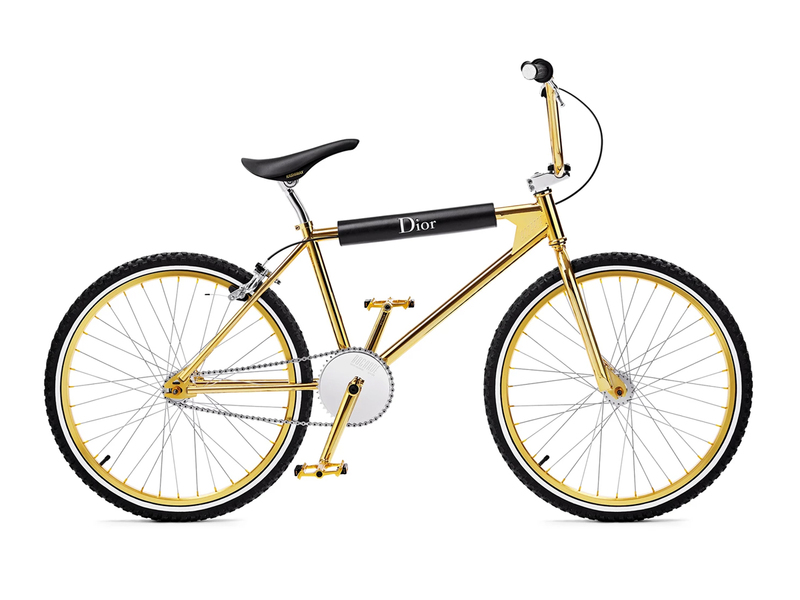 While that has been fully snapped up by collectors (there were only 70 bikes available), Dior has launched the second design that comes in an uber-luxe gold finish. While BMX bikes are typically off-road bicycles used for racing or stunt riding, you wouldn’t want to do all that with this stunning beauty, though you technically can. Fully enabled with top-notch equipment like quality chains, solid tires and smooth pedals, this is one bike you’d more likely find in a design museum than on the road. Finished with a shiny gold metal finish all round, it juxtaposes beautifully against the calfskin detailing and ample logo placements on the top tube and handlebars. 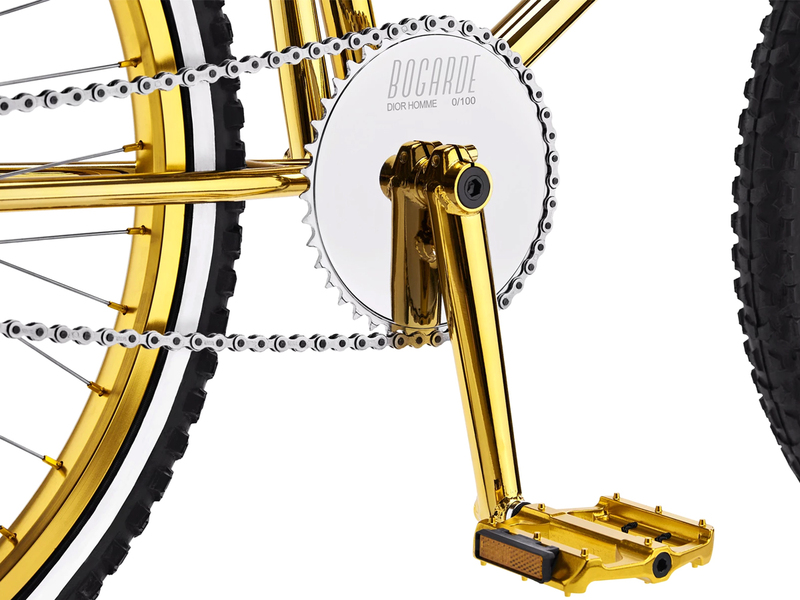 The good news is that this time around, the Dior X Bogarde Gold BMX will come in a limited edition run of 100 pieces, all of which are numbered from 0 – 100 right at the sprocket. And if you’ve chanced upon it on display while passing the Dior boutique at ION Orchard but was too shy to ask how much, read on. Sold as a set along with a bike stand, the golden beauty is priced at SGD7125, which honestly isn’t too bad considering that’s probably the same amount you’ll be paying for a luxury bag these days.